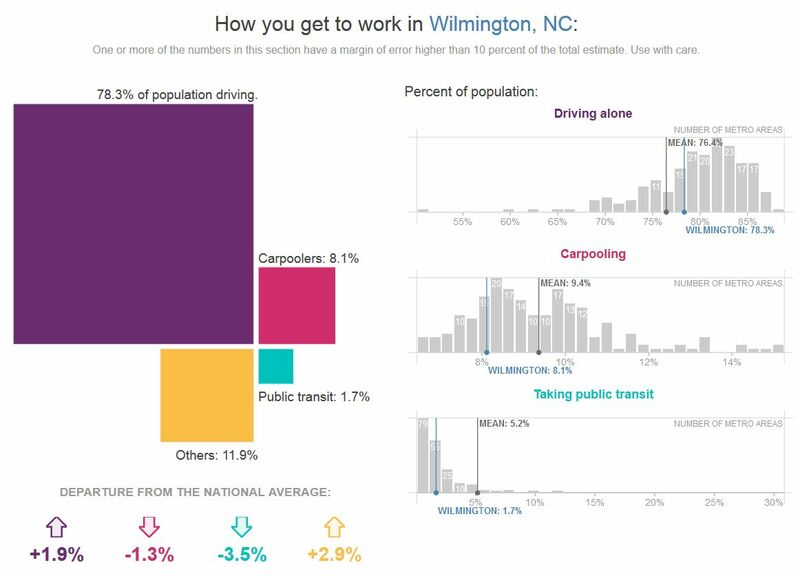 How Long is the Average Commute in Wilmington? One of the top factors that contributes to choosing a home to purchase is how near it is to the buyer’s workplace. Wilmington is a metro area with a population over 260,000. It’s a beautiful area, but traffic can be a concern, especially when a buyer wants to purchase along the water, but works further inside the county. 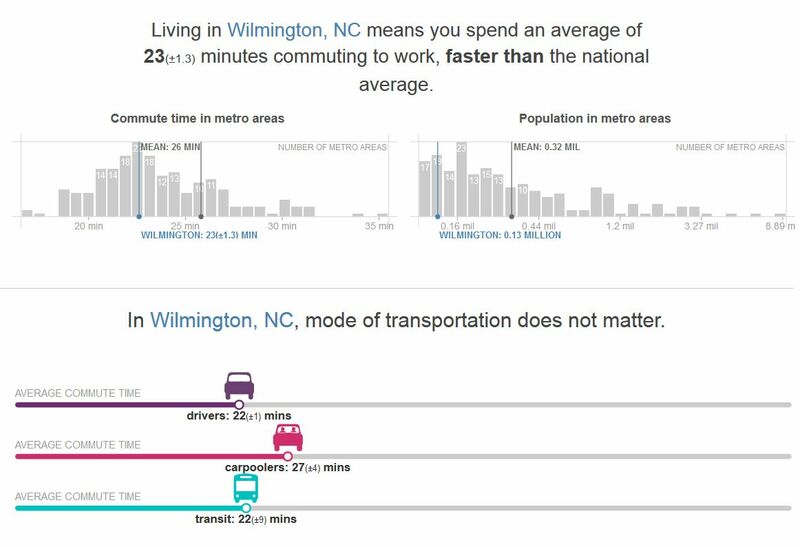 Wilmington falls below both the mean commute time for all metro areas, as well as the mean population. The average commute time is 23 minutes, which is faster than the national average. Additionally, the method of commuting – driving alone, carpooling, or public transportation – doesn’t make a huge difference on the commute time. It’s important to remember that public transportation isn’t available everywhere, so that segment of data probably only reflects the areas that are covered. Still, the commute times don’t vary by much. Of course, the best way to find out how long a commute will be is to take a test drive during peak hours. This should be done prior to making an offer on a home, and always part of measures taken during the Due Diligence Period. If the commute is too long, this will provide a buyer plenty of safety net for avoiding any loss of earnest money. Visitors may be happy to know that our listing pages display a Walk Score for each property, so buyers know how close it is to certain amenities and businesses. 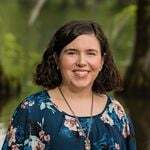 If you have any questions about community locations in the Wilmington area, give us a call or send us a message through our Contact page.